Unlike your television or your car, solar panels start to recoup costs the minute you turn them on. The electricity produced by solar panels is completely free, and will reduce or eliminate your monthly energy bill. After several years, most solar systems completely pay for themselves. But how can you tell how much a solar system will save you? We’ll address what you can expect financially from a solar system installation and discuss the best ways to keep track of your total savings. When you’re considering installing solar on your home, the first thing an installer often asks for is a copy of your utility bill. That’s because most homeowners want to install enough solar panels to eliminate their average monthly electricity costs. A roof-sized system is usually enough to cover all of your electricity usage, but production varies according to the orientation of your roof, the local climate, and any tree cover. If you fit your system size to your electric bill, you can completely eliminate your bill and shorten your payback period. The payback period on your solar system is essentially how long it takes your solar savings to surpass your initial investment. For instance, if a $20,000 solar system saves you $4,000 a year on your electricity costs, your payback period would be approximately five years. There are solar calculators that can estimate your electricity savings over time before your system is even installed, and almost all solar installers will calculate your payback period for you while you’re negotiating the design of your solar system. 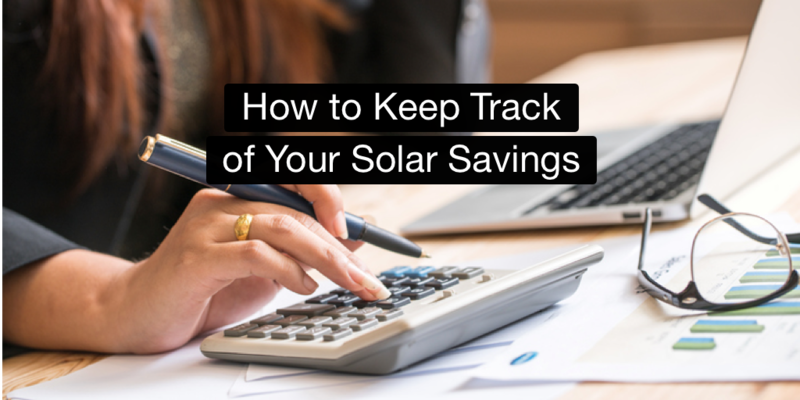 If you’d like to keep track of your solar savings—or potential savings—on your own, there are a few great ways to do it. Solar calculators use a little basic math and some geographic data to calculate a rough estimate of your home’s solar potential. For most people interested in going solar, this is the first step to figuring out how much you stand to save by installing solar panels. A solar investment is usually only advisable when the panels will be efficient enough to pay for themselves within a reasonable amount of time. Remember that shade, weather, and the angle of your roof can increase your solar payback period, but most homes across the US are good candidates for solar panels. Below, we list a few of our favorite solar calculators. The National Renewable Energy Laboratory (NREL) runs one of the most efficient and effective solar panel payback calculators on the web. This system, called the PVWatts calculator, uses a wealth of geographic and meteorological data, along with industry trends, to calculate the savings of a solar system. It can calculate savings both before or after an installation. It’s a powerful tool and may be a bit intimidating to new users. You can change options like system size, roof orientation, irradiance, and panel efficiency to see which system specs are the right choice for your home, budget, and electricity habits. Google’s mapping software and free technical drawing tools have been a mainstay of the solar industry for years. Now, Google is working to develop an even more powerful tool for solar contractors and homeowners with Project Sunroof. This free technology allows you to calculate your home’s solar potential using a highly sophisticated three-dimensional mapping software that analyzes the roof of your home at an incredible level of detail. Project Sunroof is still rolling out, so your home may or may not be mapped yet, but it’s worth checking your address to see if this tool can be used to calculate your solar savings. Solar Power Authority also provides a free solar calculator service that can show you your potential savings with a solar installation and the potential up-front costs of the installation itself. 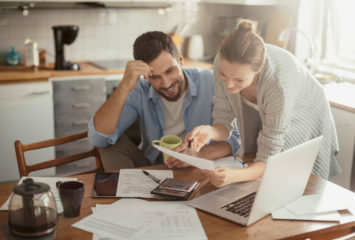 Our calculator uses a baseline of 80% efficiency, a few details, and some information from your utility bill to determine your savings potential. Check out our calculator to see how much you can save with solar power. Almost all solar homes are tied to the grid using a process called net metering. Net metering is a billing system that uses your home’s utility meter to keep track of the energy you produce. All of the electricity your panels generate flows back to the grid, and you’re credited back the full amount on your electricity bill. Through net metering, homeowners that generate all of their own electricity with solar power effectively avoid paying for their electricity, as well as the extra fees associated with poles, wires, and infrastructure. In most net metering systems, your home’s meter will simply run backwards when your panels are producing electricity. If you produce more electricity than you use, you’ll be paid for the excess by the electric company. Net metering is the most common way homeowners can track their savings with a solar system. Your monthly electricity bill will simply show how much energy was sold back to the grid in the form of a credit to your account. For many homeowners, waiting until the end of each month to see your solar savings isn’t as satisfying as real-time data. Most advanced systems installed today provide this data through real-time production monitoring, which offers a number of benefits for homeowners. Through smarter solar panels and web-connected systems, it’s easier than ever to monitor your production over time, letting you track your savings and spot any interruptions in your solar production as quickly as possible. Real-time solar monitoring systems use software built directly into the inverter on your solar system. This software provides real-time production info, which is then sent to your installer and, most often, to a website where you can see your production statistics at any time. The majority of modern systems, including those installed by national brands like Solar City and local brands like Baker Electric Solar, even offer an application on your smartphone. It helps you spot problems immediately. Solar panels are very reliable, but faulty wiring issues do occasionally occur. With real-time monitoring, you’ll know the moment your panels have an issue. Your installer can quickly pinpoint which solar panel has stopped producing, and a technician can come out and fix the issue quickly so you don’t miss out on any electricity gain. Real-time production tracking minimizes downtime, saving you money over the life of your system. It shows you your savings. Real-time production tracking is also a great way to monitor your savings. Tracking software allows you to see your daily, monthly, and annual savings at any time. This can be a great motivator for you and your family if you’re looking to cut back on your electricity use. Every time you turn off lights or upgrade an appliance, you’ll be able to see a small gain in your savings from month to month. Solar panels are more than environmentally friendly; on most homes, they’re an investment with a powerful return. It’s no wonder people all over the United States are buying in. Tracking your savings can help you match your energy use to the production of your panels, completely eliminating your utility bill. Over time, your panels pay for themselves in energy savings, and you’ll love watching those savings apply directly to your bank account. How Do Solar Panel Leasing Programs Work?